It's that time of the year again, folks. The Los Angeles Dodgers are coming to New York to play the Mets. As always, I'm tempted to go just to heckle the Dodgers on behalf of my San Francisco Giants fandom. I'll probably skip this series despite tickets being cheap and plentiful as the Mets are well below .500 which means the fans are done for the season too. 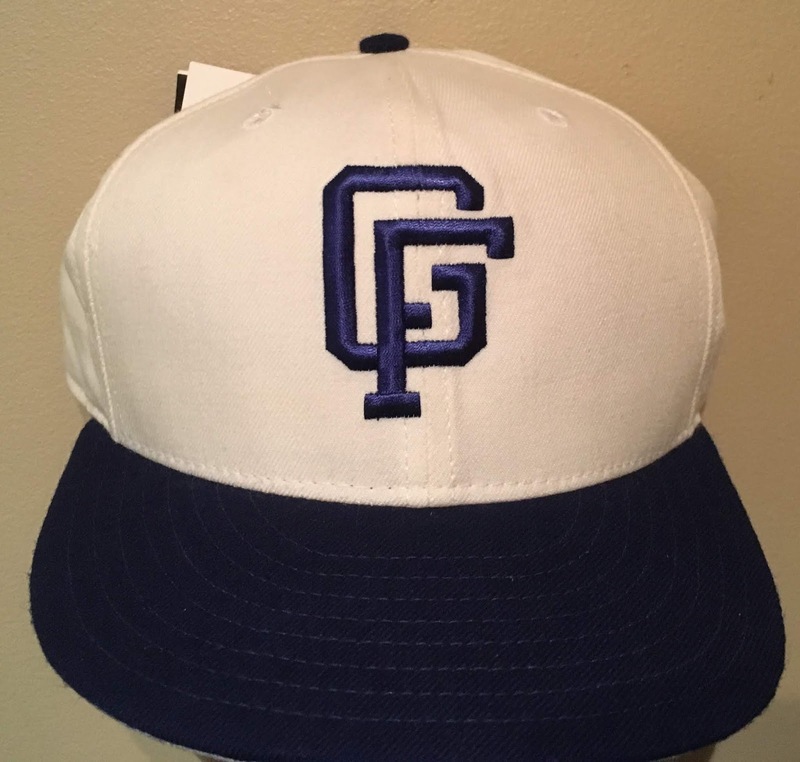 If I did go to one of the games, I'd wear my New York Giants hat to troll the Dodgers even though I have the perfect hat for a Dodgers fan to wear: a Great Falls Dodgers cap which I believe to be from the 1996 season. 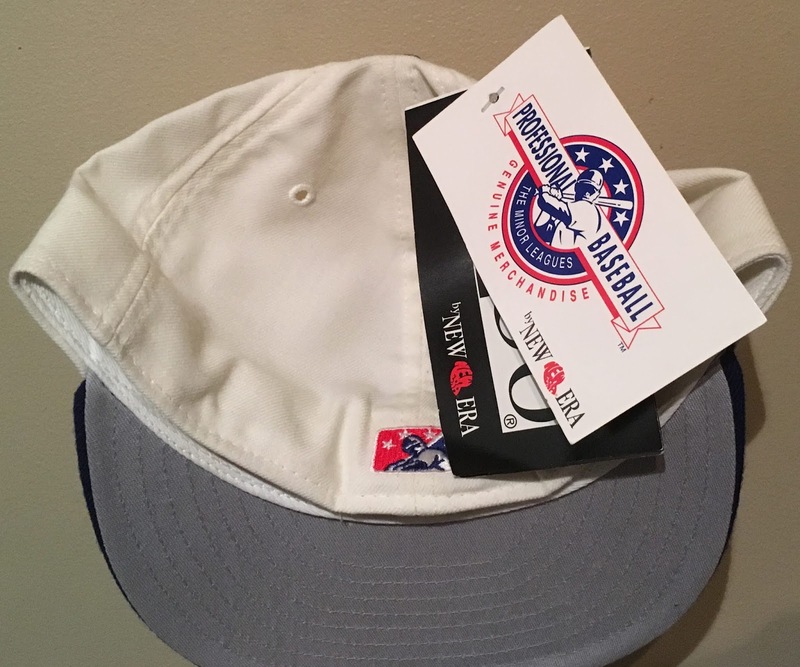 I've posted photos of my all blue Great Falls Dodgers cap before but this version with a white crown is perfect for summer, besides the fact that I despise the Dodgers and would never actually wear it! The MILB batterman here tells me this cap has to be from 1994 at the earliest. Also, it's rare to find this cap let alone one with unpopped tags! The absence of the New Era flag tag on the sweatband tells me this cap has to be from a year earlier than 1997. 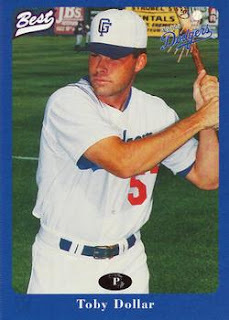 This card from 1996 is the only image I could find of a Great Falls Dodgers cap with the white crown. Because of the aforementioned tags and MILB batterman, I'd say this seals the deal on the cap being from 1996. 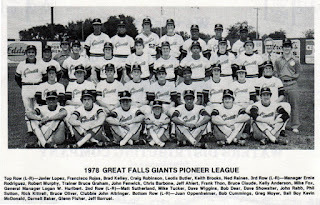 I still can't believe I am a Giants fan who is the owner of two Great Falls Dodgers caps. If those caps had orange lettering and a black crown, I could at least play it off as if they were Great Falls Giants caps but I'm not exactly certain what those caps looked like. 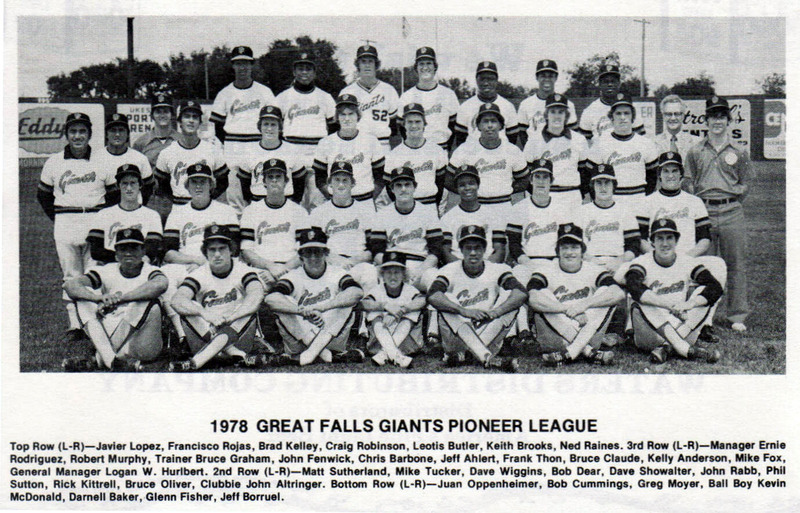 The only image I've been able to find of the Great Falls Giants thus far is this 1978 team photo that was scanned from a 1979 program. I can't tell what the cap logo looks like from the image above but I imagine it's not terribly exciting although very few Giants farm clubs had interesting logos before the mid 1990's. Clinton, Fresno, Tacoma and Everett all featured a single orange letter of their city's first initial on a black crown back then so I am probably not missing out on much after all. Because I could never ever possibly wear any Dodgers cap, this one is going on the Trading Block so please don't hesitate to reach out if you want this or any other cap from that list and you are willing to part with any of the hats on my Wish List.